Department of Pharmacognosy 1, Vaagdevi Institute of Pharmaceutical Sciences, Bollikunta, Warangal - 506005, Telangana, India. Department of Pharmacognosy 2, Anurag Pharmacy College, Kodada, Khammam - 508206, Telangana, India. Department of Pharmaceutical Chemistry 3, University College of Pharmaceutical Sciences, Satavahana University, Karimnagar - 505001, Telangana, India. ABSTRACT: The present study was designed to evaluate the muscle relaxant and locomotor activities of petroleum ether (PE), ethyl acetate (EA) and methanolic (MA) extracts of Malpighia emarginata (ME) and Holoptelia integrifolia (HI). The different concentrations were used to evaluate the toxicity in rats and revealed that they are nontoxic up to 2000 mg/kg. From the toxicity study, 200 and 400 mg/kg doses were selected for the pharmacological activities. Muscle relaxant and locomotor activities were done by Rotarod and Actophotometer respectively. The leaves and fruit extracts of PEME, EAME, and MAME with 200 and 400 mg/kg were showed a significant reduction in the time spent by the animals on the revolving rod when compared to the control (P<0.01, P<0.001) at 2 h. The MAHI of leaves and bark extracts (200 and 400 mg/kg) were more significant towards muscle relaxant effect (P<0.01, P<0.001) than PEHI and EAHI (P<0.05, P<0.01) when compared with control at 1 h. Treatment with both doses of leaves and fruit extracts PEME, EAME and MAME significantly (P<0.01, P<0.001) reduced the number of movements was observed at 2 and 3rd h when compared with control. The leaves and bark extracts of PEHI, EAHI and MAHI shown significant (P<0.05) reduction in locomotor activity at 1 and 3 h with 400 mg/kg whereas treatment with 200, 400 mg/kg and diazepam significantly reduced (P<0.01, P<0.001) when compared with control at 2 h. From the above results, we concluded that both the plants have potent muscle relaxant and depressant activities. INTRODUCTION: Herbal drugs have abundant importance in modern days for the management of various diseases. Due to their extraordinary potential as therapeutic agents against many diseases that affect mankind 1. Acerola (Malpighia emarginata DC.) has good adaptation to soil and climate grows in central and South America including Brazil and It belongs to the family Malpighiaceae 2. Acerola is native to Southern Mexico, South America, Puerto Rico, Brazil, and Central America, but is now also being grown as far north as Texas and in subtropical areas of Asia, such as India 3. The plant bears a small trilobate cherry-like red fruit. The pulp is very juicy and refreshing with a sweet, fruity flavor. However, recent research showed that besides vitamin C, acerola fruits might also be a good source of phytochemicals such as anthocyanins 4, 5 flavonoids and phenolic acids 6, and polyphenols 7. Concerning bioactivities, acerola showed antioxidant 8, antimicrobial 8, hepatoprotective 9, anti-hyperglycemic 10, analgesic and in-vitro and in-vivo anti-inflammatory effects 11. Oxidative stress has also been implicated in the pathogenesis of diabetes, liver damage, neurotoxicity, inflammation, cancer, cardiovascular disorders, neurologic disorders, as well as in the process of age 12. Holoptelea integrifolia have been used in traditional health care, particularly among the tribal communities system and commonly known as Indian Elm tree. It is a large deciduous tree distributed throughout the greater part of India up to an altitude of 2,000 feet 13. The family Ulmaceae is comprised of 200 species belonging to 15 genera which are spread in tropical, temperate regions of Northern Hemisphere. The plant is found in the tropical region of Asia, including India, Nepal, Sri Lanka, Indo-China, Cambodia, Laos, Myanmar, Vietnam, Burma, and China. It is also found in the lower Himalayan belt to Tranvancore, the southern part of India. In Pakistan, 3 genera and 7 species of the drug are found in Karachi and in some other parts of Sindh 14. Holoptelea integrifolia is the only species of this genus found in this region. Many pharmacological effects of this plant have been reported including anti-inflammatory, anthelmintic, antibacterial, antidiarrheal, antitumor, adaptogenic, antidiabetic and antioxidant activity and wound healing potential 15. By these noticeable uses of Malpighia emarginata and Holoptelea integrifolia were selected for my further work. Due to the lack of well-documented scientific evidence, the present research paper is focused on muscle relaxant and depressant activity. Plant Materials: The leaves and fruits of Malpighia emarginata (ME) were collected from the botanical garden of Acharya N. G. Ranga Agricultural University, Hyderabad, Telangana, India. The leaves and bark of Holoptelia integrifolia (HI) were collected from the wild growing tree in the Kakatiya University Campus, Warangal, India. The collected plant species were identified and authenticated by qualified Taxonomist, Professor K. S. Raju Botanist Department of Botany, Kakatiya University, Warangal, Telangana, India. A specimen was (Specimen no: PLM-2150 and PLH-2151) deposited in the institutional herbarium. The collected plant material was made thoroughly free from any foreign organic matter, and a part of the material was dried under shade. The dried plant materials were sliced into small pieces, and the coarse powder was made using a domestic mechanical grinder then stored in a tight container and used for further studies. Preparation of the Extracts: Coarsely powdered leaves, bark, and fruits of selected plant parts were subjected to extraction using Soxhlet extractor for 72 h at a temperature not exceeding the boiling point of the solvent by increasing polarity from petroleum ether (PE), ethyl acetate (EA) and methanol (MA). The extract was filtered using Whatman filter paper (no. 1), and then concentrated under vacuum. Finally dried at 45 °C and the extracts were kept in sterile bottles and refrigerated until use. Experimental Animals: Wistar rats (150-200 g) and albino mice (20-25 g) of both sexes were selected and procured from Mahaveer enterprises, Hyderabad, India. The selected animals were maintained under standard laboratory conditions temperature at 25±1 °C, relative humidity 55±10% and with 12 h light/dark cycle. The animals were fed with standard pellet diet and water ad libitum. Animals were acclimatized to the laboratory conditions for one week. All experiments were performed according to the Institutional Animal Ethics Committee (IAEC) No: 1663/PO/Re/S/12/ CPCSEA. Acute Toxicity and Gross Behavioral Changes of ME and HI: The lethal dose (LD50) for petroleum ether [PEME (L) and PEMF(F)], ethyl acetate [EAME (L) and EAME (F)] and methanolic [MAME (L) and MAMF (F)] extracts of ME leaves, fruits and for petroleum ether [PEHI (L) and PEHI (B)], ethyl acetate [EAHI (L) and EAHI (B)] and methanolic [MAHI (L) and MAHI (B)] extracts of HI leaves and bark was determined by the method of Miller and Tainter 16 modified by Irwin 17 using female Albino mice. Toxicity studies were carried out to check whether extracts produced any mortality, gross behavioral and adverse reactions when given at maximum concentration (2000 mg/kg). The selected animals were divided into two different groups (n=6) and administered with the dose of 100, 200, 400, 600, 1000 and 2000 mg/kg, while the control group received only the vehicle (2-5% acacia, p.o.). After administration animals were observed for their behavior and mortality up to 24 h.
Muscle Relaxant Activity by Rota-Rod: The muscle relaxant effect was assessed by using rotarod apparatus. The selected animals were trained to remain for 3 min on rotating rod (25 rpm) for a week. After training the animals are divided into different groups (n=6). Each animal after receiving the sample was assessed their ability to remain on the rotating rod before and after 30 min. The falloff time from the rod was observed and noted at 0, 0.5, 1, 2 and 3 h for each animal 18. Muscle Relaxant Activity of Leaves and Fruits Extracts of ME: Group-I received 2% acacia, group-II received diazepam (4 mg/kg), group-III to XIV test groups received ME leaves and fruits extracts (200 and 400 mg/kg) as PEME (L) (III & IV), EAME (L) (V & VI), MAME (L) (VII & VIII), PEME (F) (IX & X), EAME (F) (XI & XII) and MAME (F) (XIII & XIV) respectively 18. Muscle Relaxant Activity of Leaves and Bark Extracts of HI: Group-I received 2% acacia, group-II received diazepam (4 mg/kg), group-III to XIV test groups received HI leaves and bark extracts (200 and 400 mg/kg) as PEHI (L) (III & IV), EAHI (L) (V & VI), MAHI (L) (VII & VIII), PEHI (B) (IX & X), EAHI (B) (XI & XII) and MAHI (B) (XIII & XIV) respectively 18. Locomotor Activity of Leaves and Fruits Extracts of ME: The depressant activity of extracts was done by actophotometer. Each mouse was placed individually in actophotometer for 5 min and the basal reaction time is noted. Experimental animals were randomly selected and divided into different groups consisting of 6 mice in each group. Each group received a particular treatment as group-I received 2% acacia as control, group-II received diazepam (4 mg/kg), group-III to XIV received ME leaves and fruits extracts (200 and 400 mg/kg) as PEME (L) (III & IV), EAME (L) (V & VI), MAME (L) (VII & VIII), PEME (F) (IX & X), EAME (F) (XI & XII) and MAME (F) (XIII & XIV) respectively 19. Locomotor Activity of Leaves and Bark Extracts of HI: Group-I received 2% acacia as control, group-II received diazepam (4 mg/kg), group-III to XIV received HI leaves and bark extracts (200 and 400 mg/kg) as PEHI (L) (III & IV), EAHI (L) (V & VI), MAHI (L) (VII & VIII), PEHI (B) (IX & X), EAHI (B) (XI & XII) and MAHI (B) (XIII & XIV) respectively 19. Statistical Analysis: Results were expressed as Mean ± SEM, statistical significance was calculated by applying one-way ANOVA (Dunnett test). P<0.05 was considered significant. Acute Toxicity and Gross Behavioral Changes: Based on the results, the ME and HI extracts of different parts of plant extracts did not produce any toxic effect up to 2000 mg/kg. To optimize the dose levels, 200 and 400 mg/kg body weight were selected for conducting experiments. The animals were observed for 4 and 24 h after oral administration; the treated animals were showed sleep, sedation and loss of muscle tone after 4 h only. Rota-Rod Test: In this test, the leaves and fruit extracts of PEME, EAME, and MAME with 200 and 400 mg/kg were showed a more significant reduction in the time spent by the animals on the revolving rod when compared to the control (P<0.01, P<0.001) at 2 h. The standard drug (diazepam) also showed a highly significant effect when compared to the control (P<0.001). At 1st h all three extracts with 400 mg/kg show significant (P<0.001) relaxant effect were observed and with the same dose at 30 min, and 3 h also shows a significant effect (P<0.05) when compared with control groups. However, two different doses of ME (200 and 400 mg/kg p.o.,) showed a dose-dependent increase in muscle relaxation effect when compared to the control Table 1. MAHI of leaves and bark extracts (200 and 400 mg/kg) were more significant towards muscle relaxant effect (P<0.01, P<0.001) than PEHI and EAHI (P<0.05, P<0.01) when compared with control at 1 h Table 2. Values are Mean ± SD, n=6 in each group. *P<0.05, **P<0.01, ***P<0.001 when compared with control group (Dunnett test). The centrally acting skeletal muscle relaxant (diazepam) which acts by enhancing the effects of GABA. In CNS the most potent inhibitory neurotransmitter was GABA. Different muscle relaxant, sedative-hypnotic, and anxiolytic drugs mediate their action through GABA 20. Therefore, ME and HI it is possible that may act by potentiating GABAergic inhibition in the CNS through membrane hyperpolarization causing a decrease in the firing rate of critical neurons in the brain. Alternatively, it may be due to direct activation of GABA receptor by the extracts. The muscle relaxant effect of plants is due to the similar effect on the GABA (A) receptor. The muscle relaxant activity observed with ME, and HI may be due to the presence of flavonoids, alkaloids, and terpenoids in the plant extract. The standard reference drug diazepam acts as an anxiolytic at low doses and a muscle relaxant at higher doses. It has been used in several studies as a positive control for testing the skeletal muscle relaxation 21. Diazepam produced statistically significant muscle relaxation in comparison with control as well as extract. However, to date, there has been no published literature proving the skeletal muscle relaxant effect of this traditional medicine. This study proves that MI and HI is a skeletal muscle relaxant. Phytochemical analysis of leaves revealed the presence of alkaloids, tannins, cardiac glycosides, steroids, terpenoids, flavonoids, reducing sugars, and saponins 22. The muscle relaxant activity observed with MI and HI may be due to the presence of flavonoids, alkaloids, and terpenoids in the plant extract. The observed muscle relaxant effect of ME and HI may be due to the agonistic effect on GABA / benzodiazepine receptor complex 23. In this case, diazepam at a dose of 4 mg/kg body weight showed a significant lack in motor coordination and muscle relaxant activity in animals and animals treated with the extract showed muscle relaxation and reduced motor activity. Test for Locomotor Activity: The leaves and fruit extracts of EAME and MAME showed significant (P<0.05) reduction in locomotor activity at 1 and 4h with 400 mg/kg, whereas PEME treated animals does not show any significant alteration in their locomotion. Treatment with both doses of leaves and fruit extracts PEME, EAME and MAME significantly (P<0.01, P<0.001) reduced the number of movements was observed at 2 and 3 h when compared with control. The results were summarized in Table 3. The leaves and bark extracts of PEHI, EAHI & MAHI shown significant (P<0.05) reduction in locomotor activity at 1 and 3 h with 400 mg/kg whereas treatment with 200, 400 mg/kg and diazepam significantly reduced (P<0.01, P<0.001) when compared with control at 2 h Table 4. Another important step in evaluating CNS drug action is to observe its effect on the locomotor activity of the animal. The activity is a measure of the level of excitability of the CNS and decreased activity results from CNS depression 24. The decrease in locomotion implies depression effect on the central nervous system and also it has been well-known that an augment in the concentration of gamma-aminobutyric acid (GABA) may lead to CNS depressant effect 25, 26. This suggests that ME and HI may act via GABA receptors. The extract significantly decreased the locomotor activity as observed in the results of the actophotometer test. CONCLUSION: In the present study, the administration of pet ether, ethyl acetate and methanol fractions of M. emarginate (ME) and H. integrifolia (HI) has significant muscle relaxant and locomotor activity. The present study indicates that ME and HI can be used in the treatment of anxiety. It is further suggested that it can also be used as a supportive drug with other Ayurvedic drugs. ACKNOWLEDGEMENT: The authors are grateful to Secretary, Viswabhara Educational society, Warangal for providing the necessary facilities to carry out the study. Bhutani KK and Gohil VM: Natural products drug discovery research in India: status and appraisal. Indian Journal of Experimental Biology 2010; 48: 199-207. Asenjo CF: Acerola: Tropical and sub-tropical fruits: Composition, properties and AVI Publications Inc, Westport, CN 1980: 341-74. Dinizi E, De Figeiredo RMF and Queiroz JMQ: Atividade de água e condutividadeelétrica de polpas de acerola concentrada. Brazillian Journal of Agro Processing 2003; 1: 9-17.
deLima G, Pinheiro VLA, Silva do Nascimento IO, Gomes MPB and Guerra NB: Identification of anthocyanidins in acerola fruits from Active Germplasm Bank of the Rural Federal University of Pernambuco. Food Science Technology 2006; 26: 927-35. Vera de Rosso V, Hillebrand S, Montilla EC, Bobbio FO, Winterhalter P and Mercadante AZ: Determination of anthocyanins from acerola (Malpighia emarginata ) and acai (Euterpeoleracea Mart.) by HPLC-PDA-MS/MS. Jou of Food Composition and Analysis 2008; 21: 291-99. Vendramini ALA and Trugo LC: Phenolic compounds in acerola fruit (Malpighia punicifolia, L.). Journal of Brazillian Chemical Society 2004; 15: 664-68. Hanamura T, Hagiwara T and Kawagishi H: Structural and functional characterization of polyphenols isolated from acerola (Malpighia emarginata ) fruit. Bioscience, Biotechnology, and Biochemistry 2005; 69: 280-86. Delva L and Goodrich-Schneider R: Antioxidant activity and antimicrobial properties of phenolic extracts from acerola (Malpighia emarginata DC) fruit. International Journal of Food Science Technology 2013; 48: 1048-56. Nagamine I, Fujita M, Hongo I, Nguyen HTT, Miyahara M and Parkanyiova J: Hepatoprotective effects of Acerola cherry extract powder against D-galactosamine-induced liver injury in rats and its bioactive compounds. Czech Journal of Food Sciences 2004; 22: 159-62. Hanamura T, Mayama C, Aoki H, Hirayama Y and Shimizu M: Antihyperglycemic effect of polyphenols from acerola (Malpighia emarginata) fruit. Bioscience, Biotechnology, and Biochemistry 2006; 70: 1813-20. Padmaja V, Nayak AS and Eshwaraiah MC: Evaluation of analgesic and anti-inflammatory (in-vitro and in-vivo) activity of petroleum ether, ethyl acetate and methanol extracts of Malpighia emarginata (DC). Global Journal of Pharmacology 2017; 1: 21-27. Marx JL: Oxygen free radicals linked to many diseases. Science 1987; 235: 529-31. Prajpati D and Patel NM: Pharmacognostic, and phytochemical evaluation of the leaves Holoptelea integrifolia. 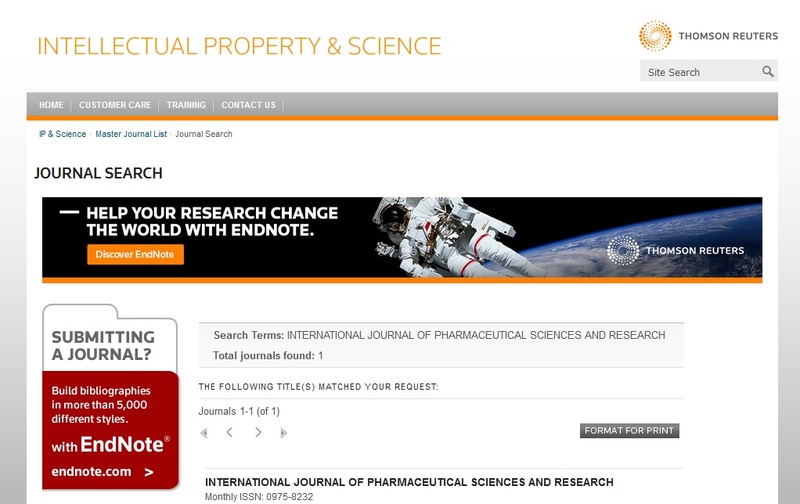 International Journal of Pharmaceutical Sciences 2010; 1: 34-40. Bambhole VD and Jiddewar GG: Antiobesity effect of iris versicolor and Holoptelea integrifolia in rats. Sachitra Ayurveda 1985; 37: 557-561. Miller LC and Tainter ML: Estimation of the LD50 and its error using logarithmic probit graph paper 1944; 24: 839-840. Irwin S: Drug screening and evaluation procedures. Science 1962; 136: 123-136. Adnaik R, Pai P, Sapakal V, Naikwade N and Magdum C: Anxiolytic activity of Vitex negundo In experimental models of anxiety in mice. International Journal of Green Pharmacy 2009; 3: 243-247. Khatun H, Majumder R, Al Mamun, Alam EK, Jami SI and Alam B: Preliminary pharmacological activity of the methanolic extract of Premna integrifolia barks in rats. Avicenna Journal of Phytomedicine 2014; 4: 215-224. George M, Joseph L and Sharma A: Antidepressant and skeletal muscle relaxant effects of the aqueous extract of the cineraria. 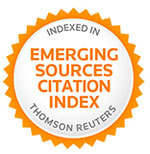 Brazilian Journal of Pharmaceutical Sciences 2012; 48: 577-581. Jayasree T, Naveen A, Chandrasekhar N, Sunil M, Kishan P and Jagan RN: Evaluation of muscle relaxant activity of aqueous extract of Sapindus trifoliatus (pericarp) in Swiss albino mice. Journal of Chemical and Pharmaceutical Research 2012; 4: 1960-1964. Mahmoudi M, Ebrahimzadeh MA, Ansaroudi F, Nabavi SF and Nabavi SM: Antidepressant and antioxidant activities of Artemisia absinthium at flowering stage. African Journal of Biotechnology 2009; 8: 7170-7175. Musrat D, Shafi M, Tahira B, Abdul J, Abdul Q and Ghulam S: Studies on analgesic and CNS depressant activities of Alhagi Maurorummedic methanolic extract on mice. International Journal of Biology, Pharmacy and Allied Sciences 2017; 6: 1761-1770. Jude EO, Davies K and Elijah JO: Psychopharmacological effects of ethanol leaf extract of Setaria megaphylla in mice. African Journal of Pharmacology and Therapeutics 2017; 6: 166-172. Tania S, Abdul M and Ahmed T: Evaluation of central nervous system (CNS) depressant activity of methanolic extract of Commelina diffusa Burm in mice Clinical Phytoscience 2018; 4: 5. Jayasree T, Maulik P, Ubedulla S, Harini K and Shankar J: Evaluation of skeletal muscle relaxant activity of aqueous extract of Neriumoleander flowers in Albino rats. Indian Journal of Pharmacology 2015; 47: 409-413. Padmaja V, Eshwaraiah MC, Nayak AS: Evaluation of muscle relaxant and locomotor activities of Malpighia emarginata and Holoptelia integrifolia. Int J Pharm Sci & Res 2019; 10(2): 642-48. doi: 10.13040/IJPSR.0975-8232.10(2).642-48.